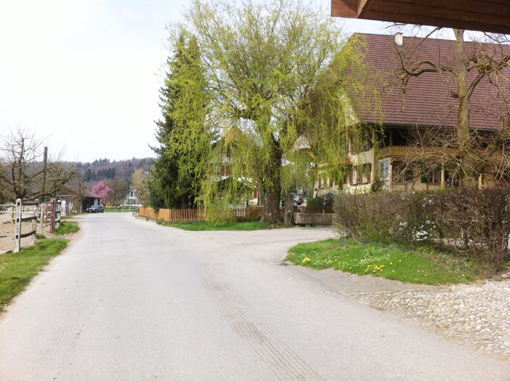 The month of April starts with my father's birthday. 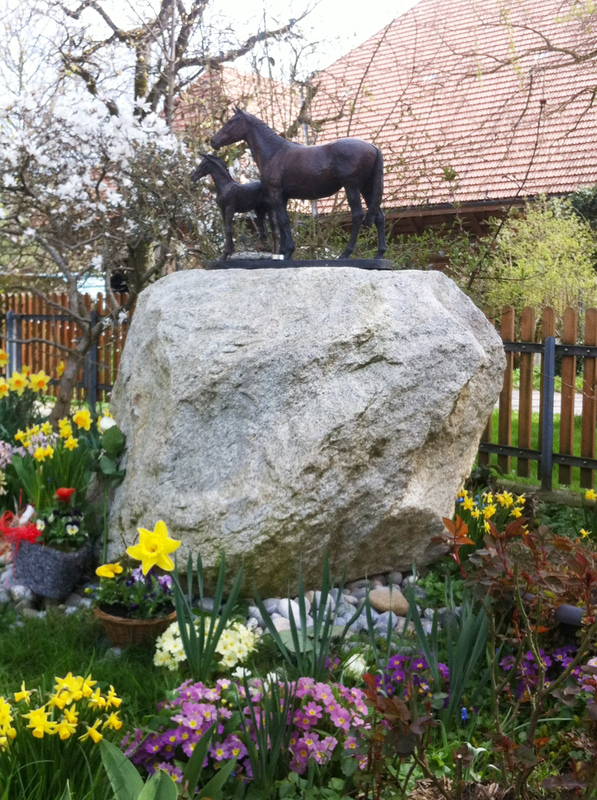 This is our mother and father's memorial in the garden at home. A short trip home in between coverings and foalings! It was a welcome break to fly home on Tuesday, 1st April to celebrate our dad's birthday. 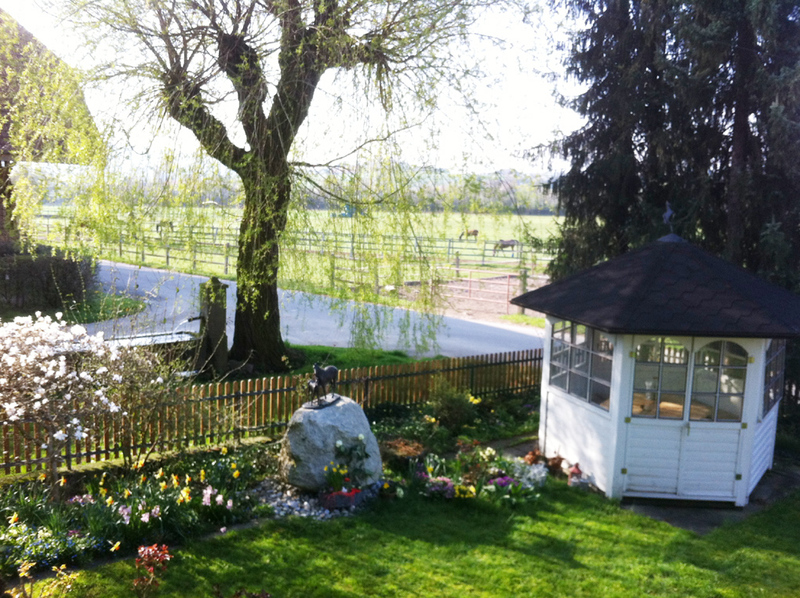 On a most beautiful spring day we could celebrate this special occasion with many of our parent's friends. We would like to thank everyone for coming and also for the flower tributes. 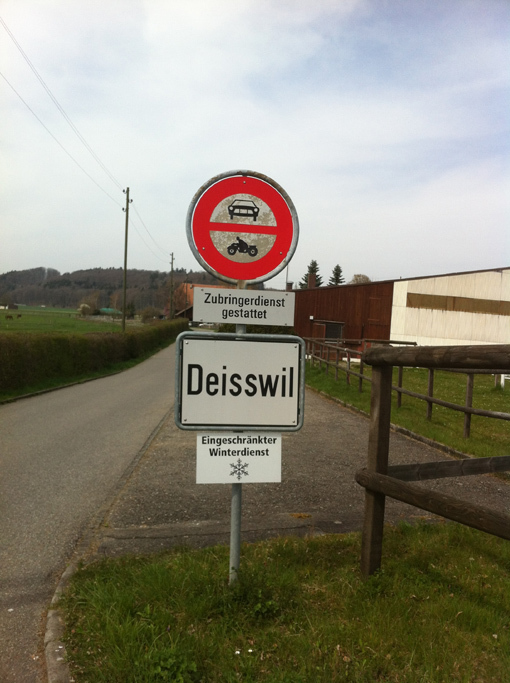 It is always nice to go to Deisswil because there is nowhere like home after all! 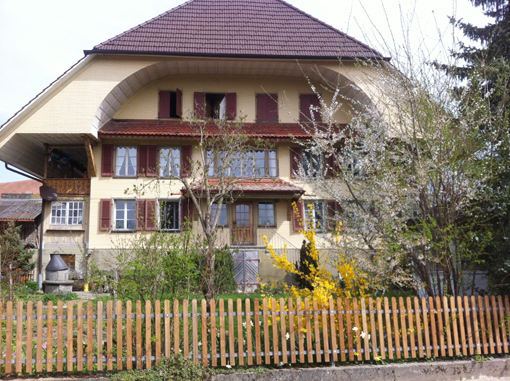 Our home in Deisswil in its beautiful spring glory! 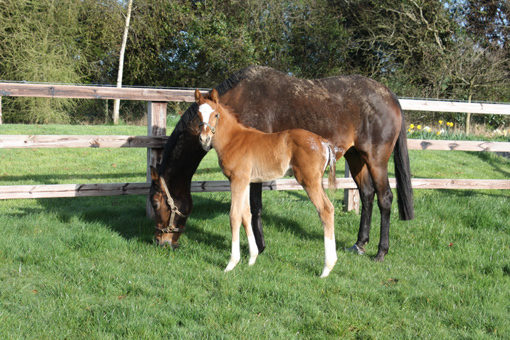 In Swordlestown Little the eternal wait is over, and we now finally have a foal. It is a nice colt by Lope de Vega out of Third Dimension. He is a brother to six winners, including the group placed Orgilgo Bay and the ever-consistant Azamour gelding Third Intention. He is also a half brother to the beautiful four-time winner Theola, who is in the foaling box and was due some time ago. We eagerly await her Helmet foal. 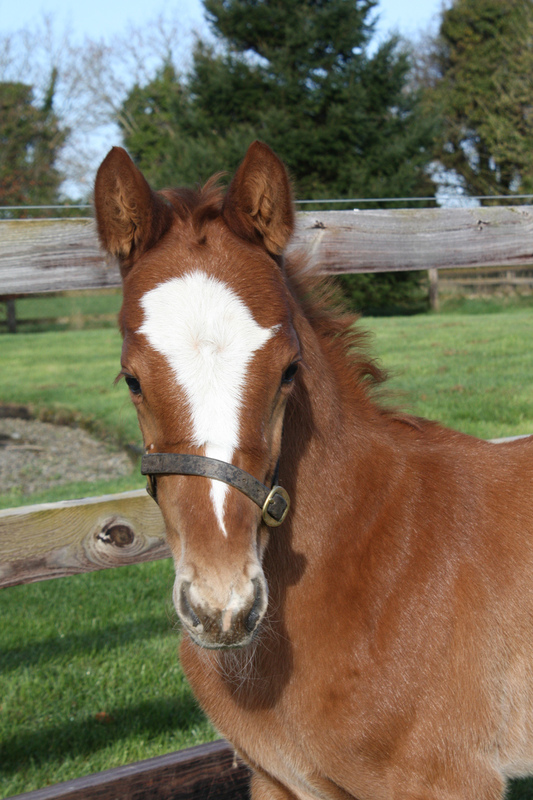 This Lope de Vega colt is a very happy chap and eager to have playmates! We have a new visitor in Nick and Alice Nugent's Noyelles who is the dam of the very highly rated Lily's Angel (by Dark Angel) and Zurigha (by Cape Cross). 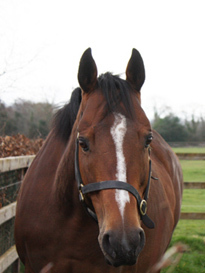 She is a lovely mare with the most beautiful temperament and she has been covered by Sea the Stars. 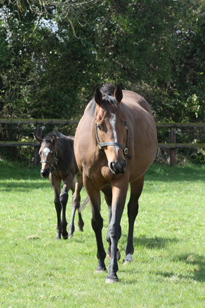 Noyelles with her filly foal by Harbour Watch. 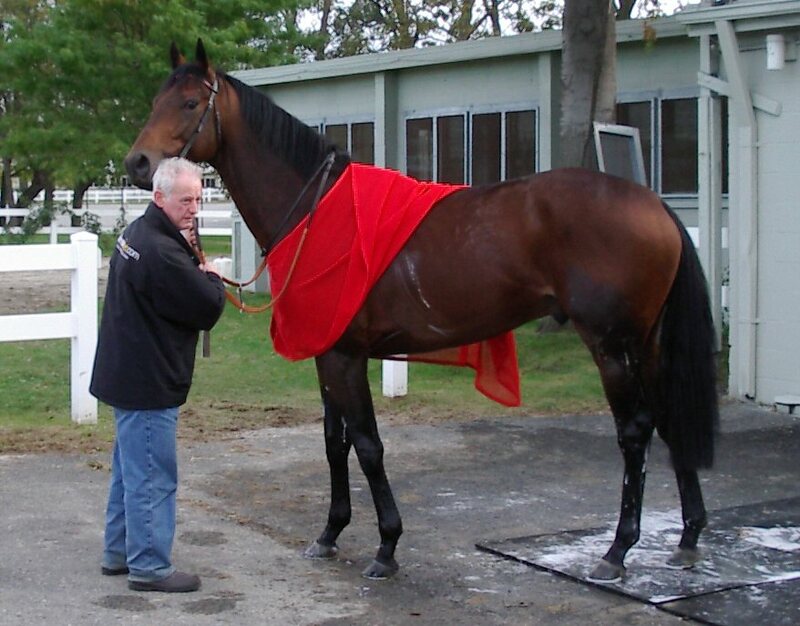 We are very sad that Azamour had to be euthanised last Saturday. He fractured his pelvis in the stable. Azamour was a wonderful racehorse and he gave us very special moments including at the Breeder's Cup in Belmont Park (pictured with Jack O'Shea).